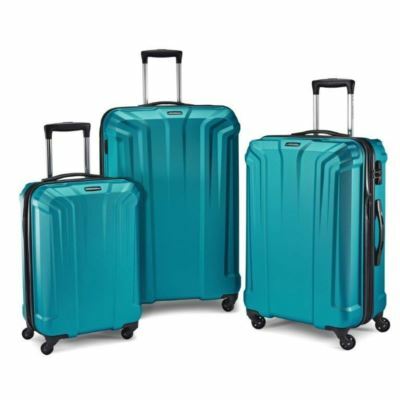 Product description: Samsonite's combines 3 Opto PC Hardside spinners 20"/25"/29" combines scratch-resistant textures with lightweight 100% polycarbonate construction, ensuring your luggage looks as great on the 100th trip as it does on the first. This lightweight line offers heavyweight protection riding on effortless 360° Spinner Wheels. Don't pull your case; let Opto PC roll comfortably beside you on your journey. Design includes expansion for added capacity when needed. TSA locks help to protect your belongings. FEATURES: : 100% polycarbonate. Dimensions (L x W x H): 32.40" x 21.70" x 13.90"